Can you believe that while all the people out east in the US were experiencing all that crazy snow, we were having rain this week? That is so unusual for us. Snow yes, cold yes, but not usually above freezing and rain. It’s given me a little foretaste of spring that should be arriving here in a couple of months. 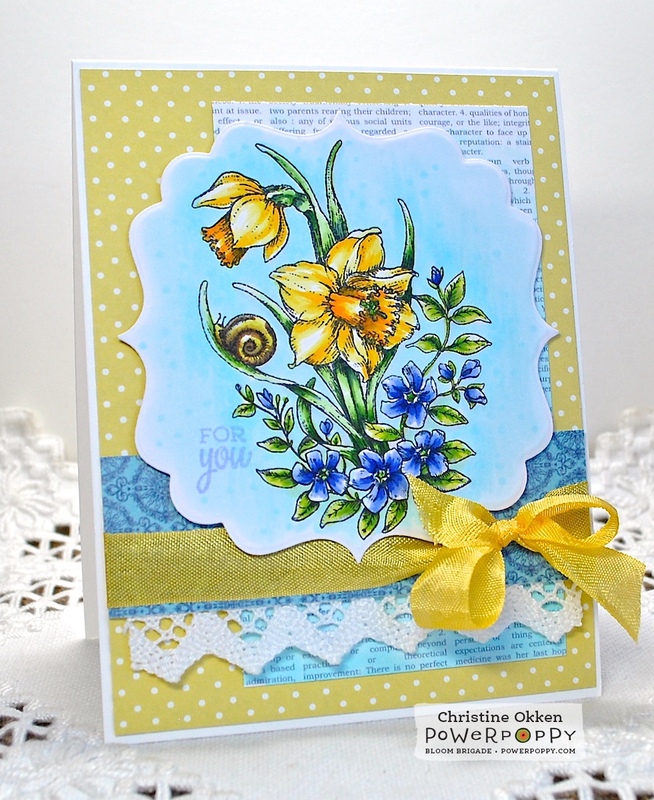 So today’s cards have a definite flavour of spring to them. They are the last two cards I added to an order my co-worker requested for general cards she could send out to people. 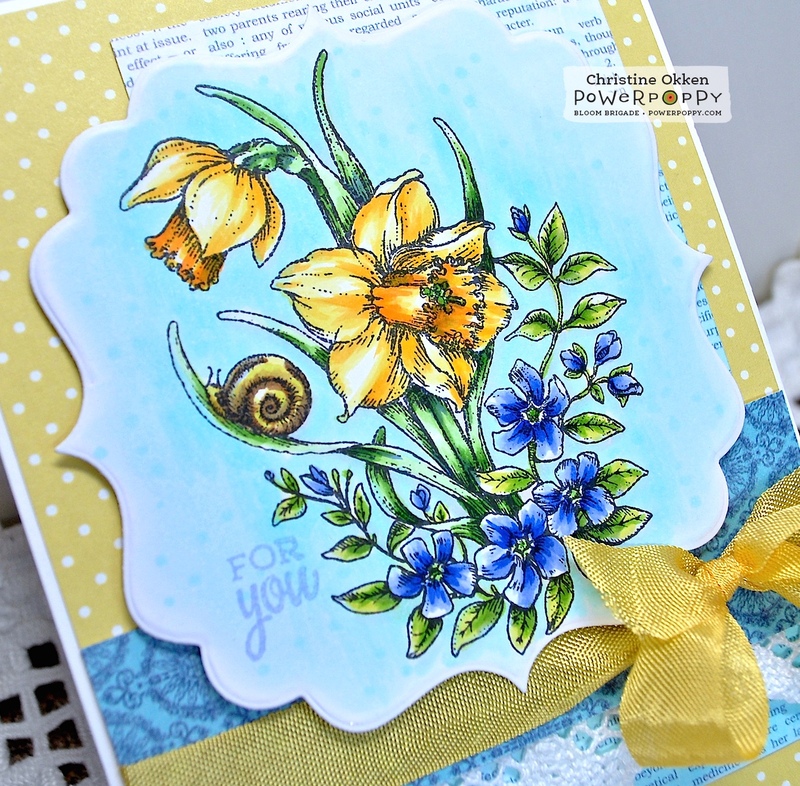 This first card showcases the lovely daffodil arrangement from our Daffodils stamp set. Finishing details are pretty straightforward with cotton lace and seam binding. 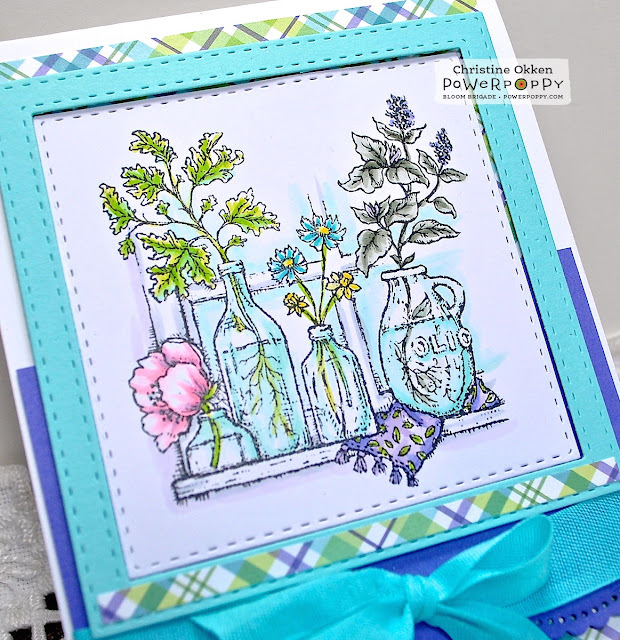 This second card shows off the lovely windowsill arrangement from Go Wild. I just love it’s serene feel, so I kept a nice blue-green-purple palette with the gingham paper and seambinding. Here’s the Bloom Brigade playing along today, I know they will inspire you! Two beautiful botanicals Christine! Are you as ready for Spring as I am? Hugs to you! Fresh and lovely with two of my favorite sets! It's been spring-like here, too. I even spent a day in the garden, but now back to rain. Your coworker must have been thrilled with the cards you made for her. So pretty! these are both beautiful, wonderful touch of spring in the colors and so feminine! 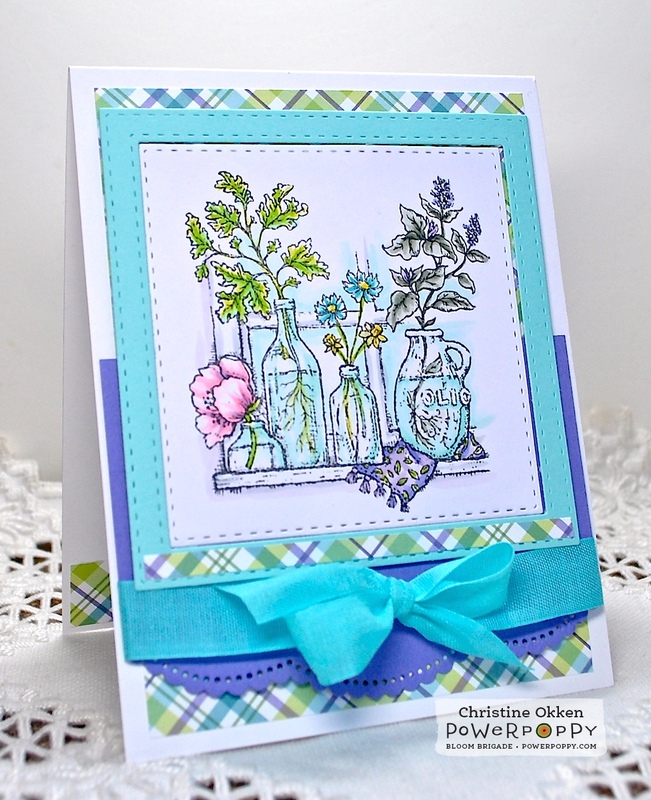 Oh, Christine, I love both of these spring-like cards with your amazing coloring, and I love the plaid DP! Great layouts! Yes, I'm inspired, and even living in South Florida, we're ready for spring! Hugs, sweet friend!